On Friday 22nd September 2006 at 3.30p.m. 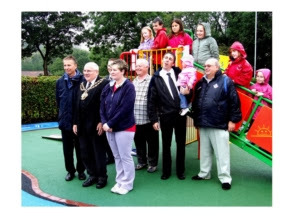 The Mayor of Oldham officially opened the new children’s play park at Dunwood Park. 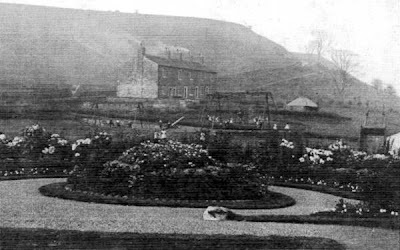 This play park replaced the derelict swings and roundabouts which had been removed for safety reasons some years before. New facilities for older children had recently been provided in the nearby St George’s playground and the younger children can now enjoy these new, colourful and attractive features in a safe and pleasant environment in Dunwood Park. This was a great moment for the Friends of Dunwood Park. 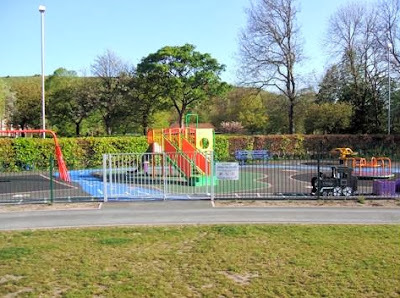 The successful completion of this project was due to the efforts of the Officers of Oldham Parks Dept and to the work and support of many members of the Friends group without whom this would not have been achieved. This support enabled us, as a group representing the local people and all users of the park, to work closely and successfully with the Parks Dept to secure this much needed facility. Throughout this period we had the crucial support of the Area Committee of the Oldham Council and of our Local and Parish Councillors. Through them we were able to access funding from the Lottery and from the local authority to fund this programme. It has been a true partnership and we should thank and congratulate all those whose support has helped to bring about this first major success on the road to restoring the park.